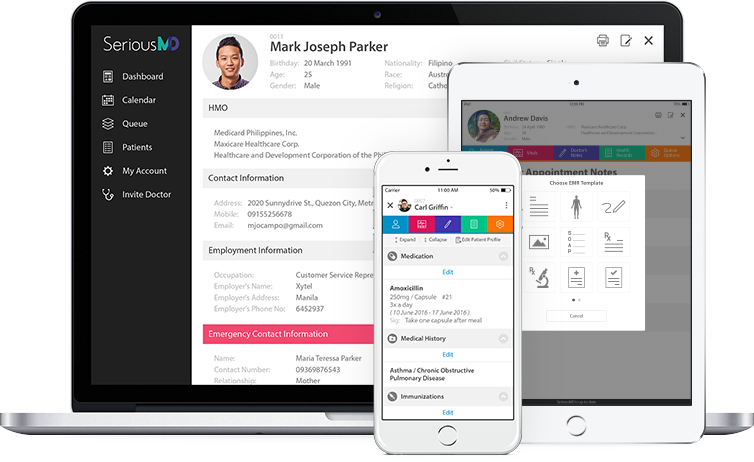 We created SeriousMD to better health care. SeriousMD is a Practice Management App equipping you with essential tools to make your daily practice a breeze! Our app provides you the following tools: Appointment Management, Electronic Medical Records, Billing, Analytics and more. Never lose or spend time looking for patient records ever again. 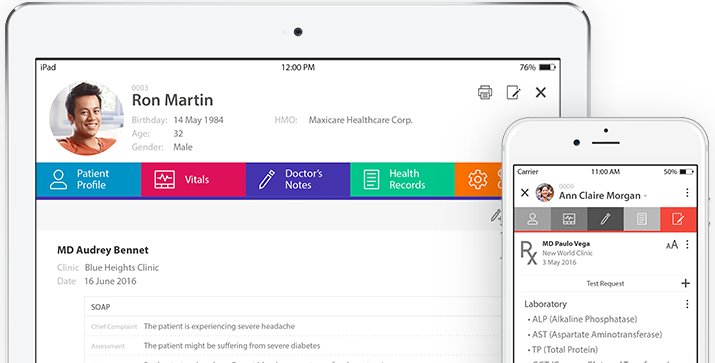 Our easy to use app allows you or your secretary to store and view comprehensive patient profiles, lab and imaging results stored intuitively, keep track of patient’s vitals through time and take consultation notes any way you want. Email, share and even print with just a click of a button. You’re busy by profession and we’d like to help. Our fully functional Calendar allows you to view your schedule by day, week or month. Book patient appointments near or far into the future. Our Queue module gives you an in-depth look at your day’s schedule, who you’ll be seeing and what procedures you’ll be doing. You can even send SMS reminders to Patients reminding them of their appointments. Real time billing and collection information allows you to never lose track of your finances. Our billing module helps you to keep tabs on bills issued, collections, payment details and even inventory. We even make it easy for you to track your reimbursements from HMOs. Ever wondered how many patients you’ve seen in a particular day or month? How about the most common Chief Complaint you’ve had to diagnose last year? Or how many times you’ve prescribed a certain medication so far? With our reports module, you’ll never need to second guess again. Getting information is just a click away. While our app works offline, it works even better connected to the internet! Being online allows your data to be safely and continuously backed up to the cloud, while allowing you to share real-time information among multiple devices.